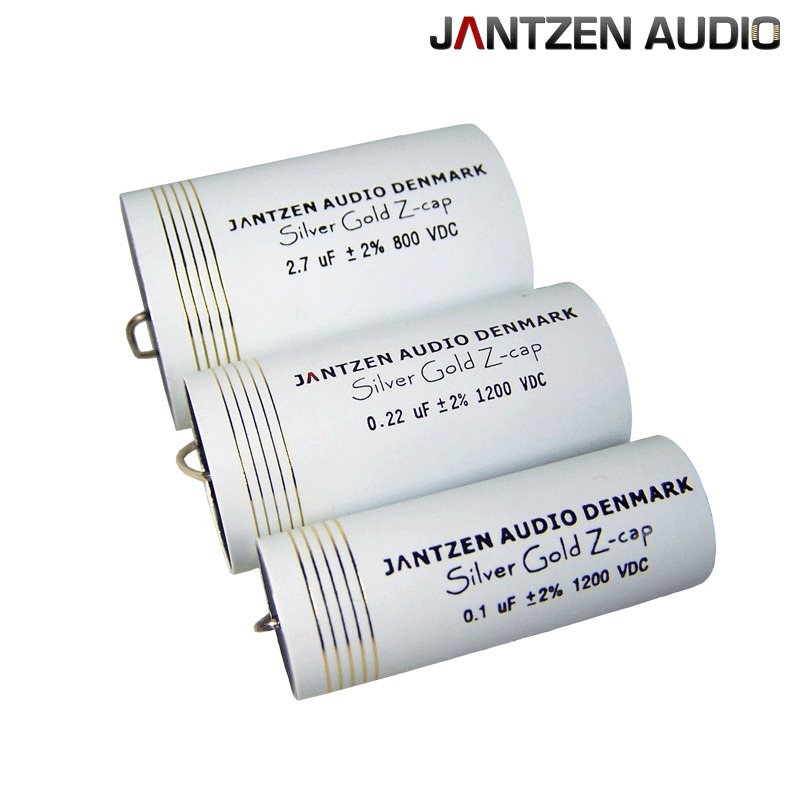 The Jantzen Audio SilverGolds Z-cap range of metallised polypropylene are their top of the range capacitor. Produced to the highest quality with a 99% silver and 1% gold mix for the metallisation of the polypropylene film with 1mm pure silver leadouts they offer incredible resolution, a big sound stage with lots of dynamics. They give a lively natural feel and are very responsive. The production process results in minimal inductance by interleaving the capacitor windings. The two windings are connected in series. So, for example, it takes two 2uF windings to make a 1uF capacitor of practically zero inductance. Jantzen use a high tension machine to wind all their capacitors, thus producing very tightly wound capacitors. As a result they offer incredibly low inner vibration and keep micophony as low as possible. They have a tolerance of 2% and pure silver lead wire to secure the extreme high quality of these capacitors. The finish is a flame-retardant tape wrap, and the end of the caps is resin sealed to protect against humidity. Another key feature is, they do not need pre-aging, so no lengthy burn-in required. Silver Gold Z-Cap are non-polarized capacitors. The signal path can be in either direction without changing the sound or performance. All JANTZEN Z-CAPS are LEAD FREE and RoHS COMPLIANT.